Gong Xi Fa Chi everyone! I hope you all have a prosperous, healthy and happy new year. This year we are celebrating the Year of the Pig. 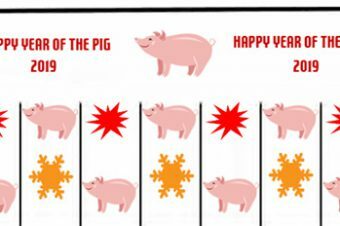 Check how lucky you will be in the Year of the Pig. What Chinese animal are you? I for one am an Ox, hubby is a Monkey, my little girls are Rats and my little boy is a Goat. Would you like to find out what Chinese horoscope you are? Chinese Astrology Online has some great horoscopes and information. 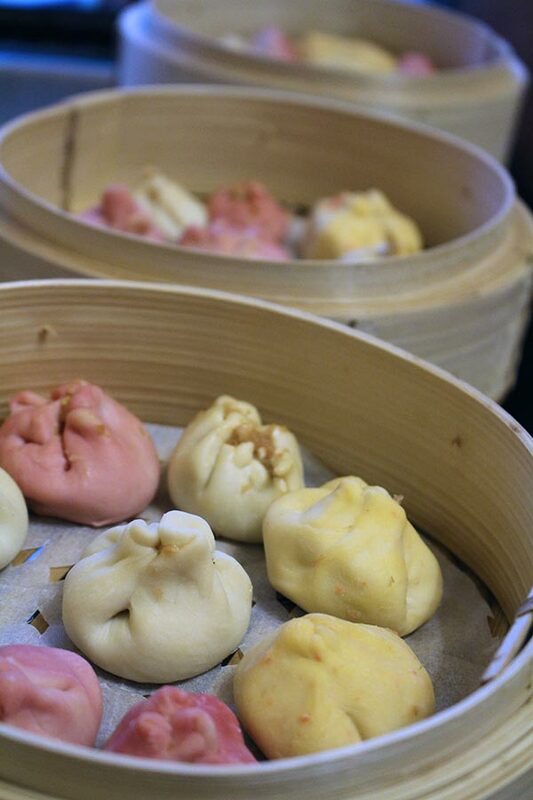 Since it is Chinese New Year what better way to celebrate than dumplings! 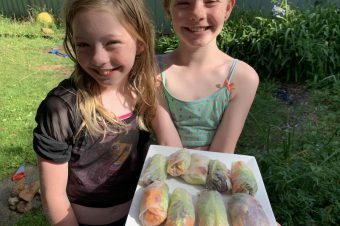 Have you thought of making your very own? It is easy but time-consuming so don’t think it will be a quick thing to organise. Making the dough, and getting the stuffing is easy, it just takes ages to put it all together. I was so happy to sit down and have a drink after I finished. I then left the steaming and organising to hubby as I had enough and was ready to eat my wonderful colourful creations. 2-3 cups of water. 1 cup hot and the others lukewarm. 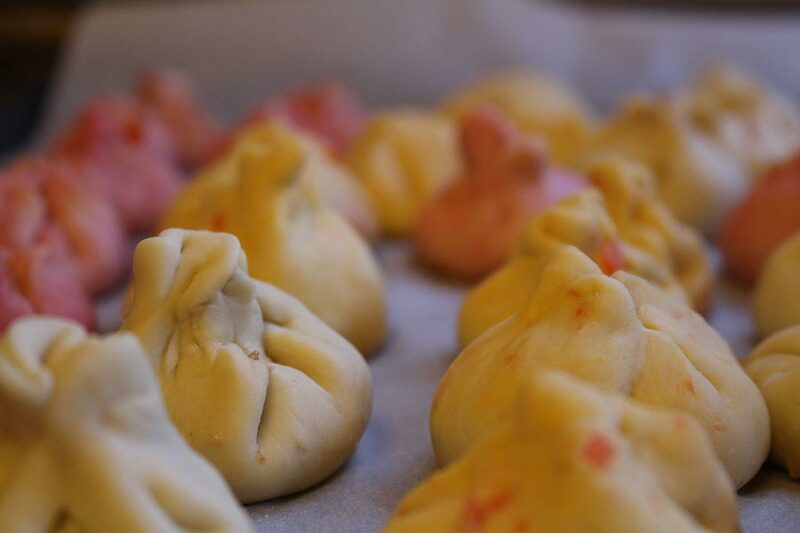 If you wish to add colour to the dough make the water be carrot juice or beetroot juice. 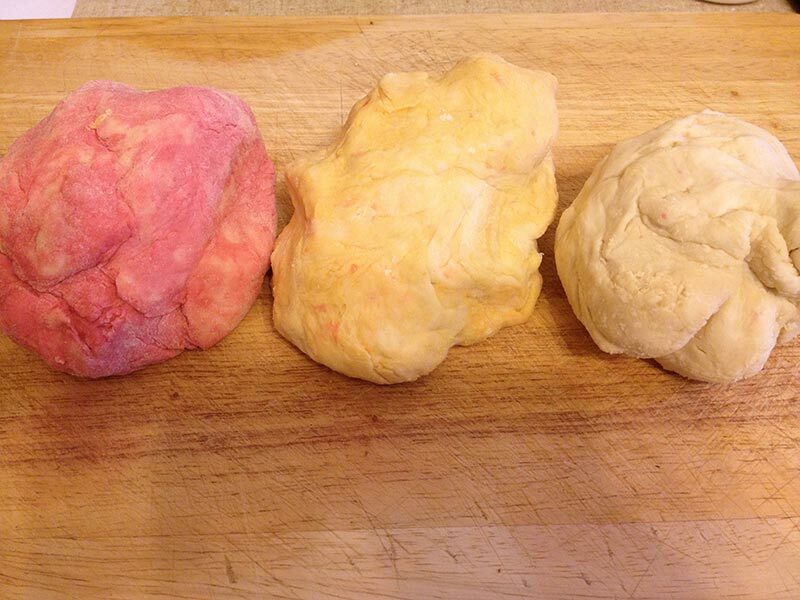 I made the dough and separated it into 3 lots, so to have different colours. In hindsight, I should have done smaller batches of the dough and made the colour from scratch while making the dough. Doing it the long way round meant having to add more flour and most likely weaker colours. My dough from the carrot juice was more yellow and not orange, and the beetroot one was more of a pink, not a deep reddish colour. 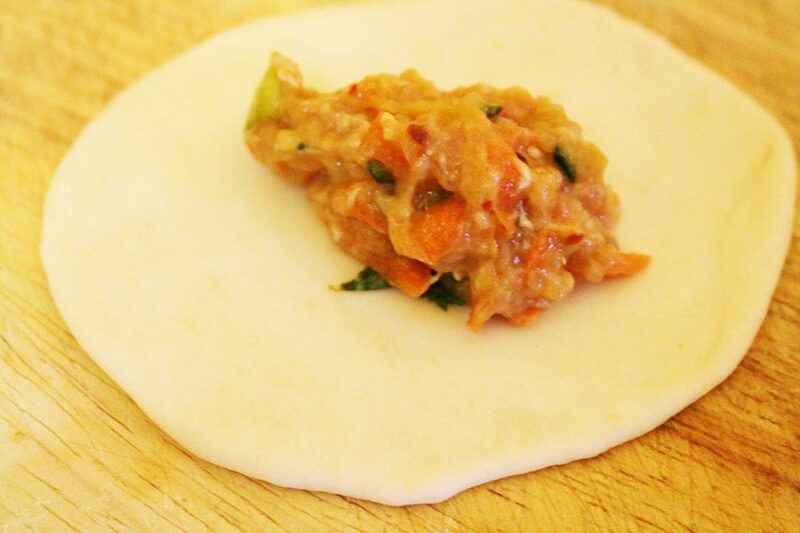 Chicken Mince if you would like them to be meat-based, if not just add vegetables. 1 Carrot & 1 cucumber grated or finely chopped. I chose to grate them as it gives a finer consistency and allows it to fit better in the wrapper. A little bit of cornflour to hold the mixture together. Say a spoonful or so. Mix it and see if it needs a bit more. If you fancy other things to add to the mixture give it a go. You can be creative as you like and if you have certain things in the fridge use them and see what you can create. Make the dough, then get stuffing organised. Make sure to have a cool tea towel over the dough so it does not dry out. Once ready, section off parts of the dough and create little pancakes ready for the stuffing to sit into. See image below. 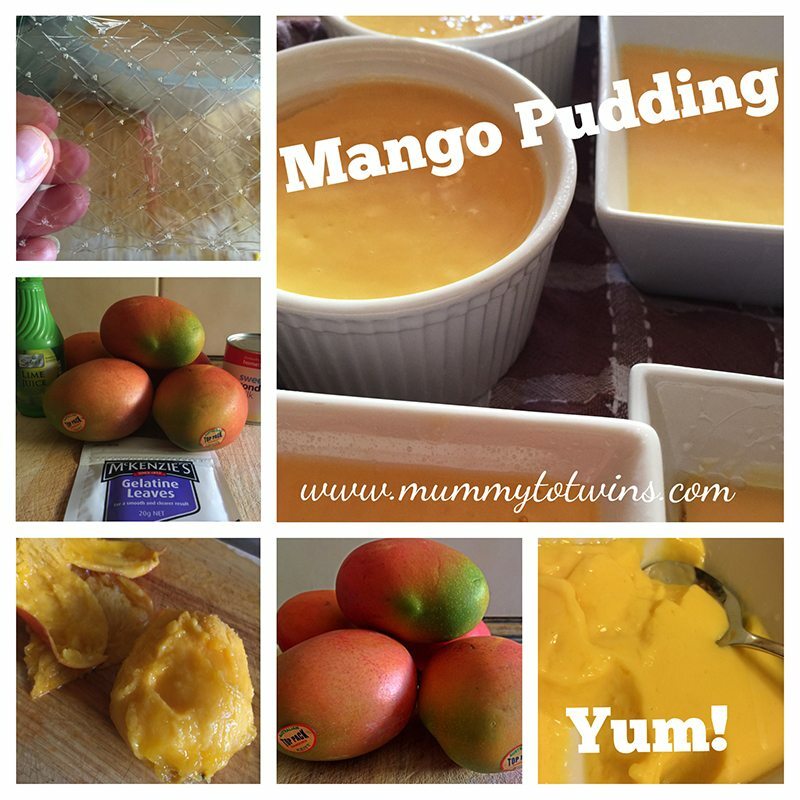 Once you have the right amount on the wrapper, pull the end up and tweak it so it becomes a little parcel. I am not the best at doing this and my dumplings are not all the same size as you are meant to do. Although it did not cause a problem. The only thing that can go wrong is that ingredients might not cook and it could be too doughy due to it being too big. So be careful. 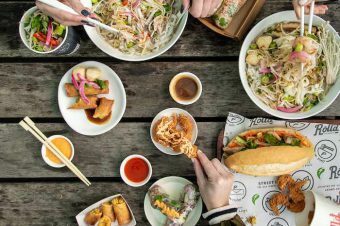 Once all done I lined them up on greaseproof paper on a tray to make life easier. Once all complete they were then transferred to the steaming pots. Waiting to be cooked. I’m super hungry now after making them. All cooked and ready to eat. 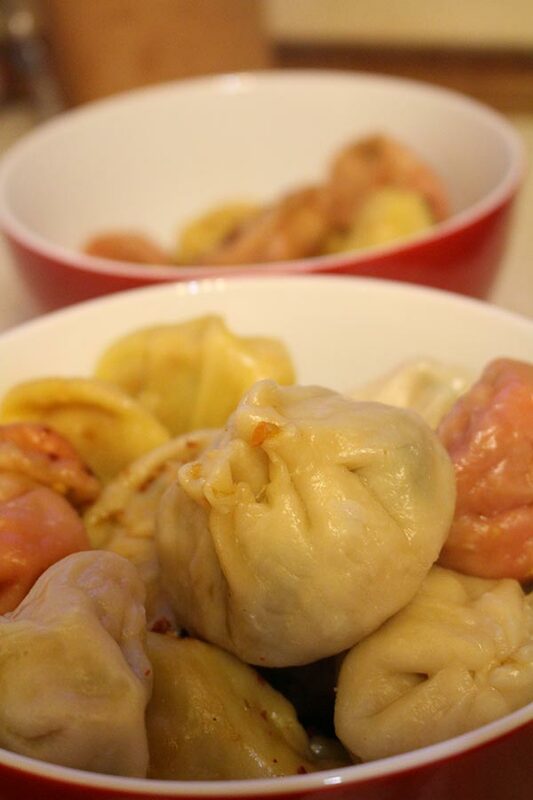 I hope you enjoy your Chinese New Year meals and maybe this has inspired you to cook your own dumplings. Enjoy! Stay current with all the things that are happening on Mummy to Twins Plus One? Don’t miss a thing by signing up for my newsletter.